80% polyester/20% cotton five-panel trucker cap. Mesh back. Structured. Mid-profile. 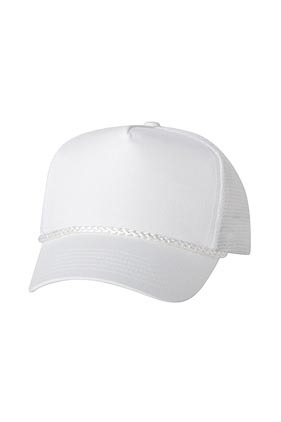 Five-panel with Braid, Pre-curved visor, Plastic tab closure.